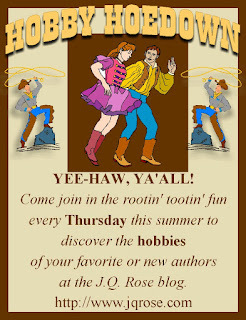 Please welcome my friend, critique partner, and talented author Joselyn Vaughn to the Hobby Hoedown. 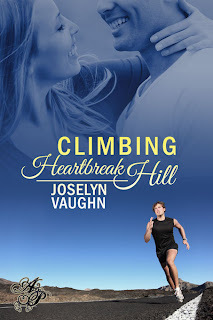 I'm thrilled to spotlight her hobby, but I am also excited to introduce you to her brand new sweet romance, Climbing Heartbreak Hill, just released by Astraea Press on Tuesday! 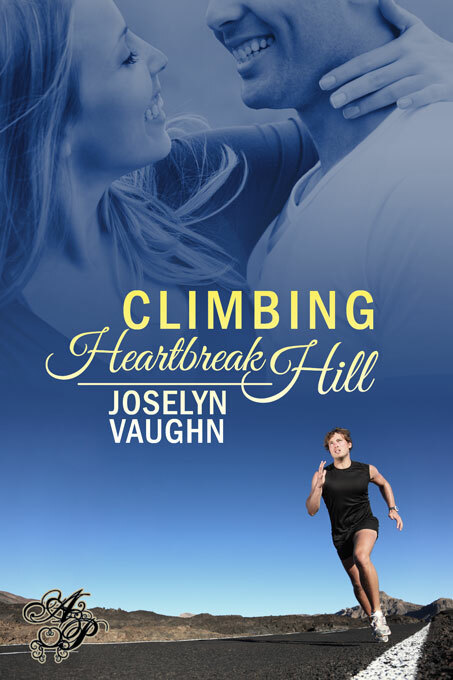 can Tara and Ryan find the courage to climb Heartbreak Hill together? Not only can Joselyn create funny and heartwarming romances, she is very accomplished with a sewing machine. Take a peek at her cute designs fashioned from T-shirts. I run a lot of races and quite often the race entry comes with a t-shirt. I have shirts in drawers, hanging in the closet, and stacked under the bed. Some are nice, some are sentimental. Some are not. When they offer an ugly one, I’m lucky if I remember to ask for an XL, then my husband can wear it. He’s somewhat less particular about what he wears than I am. I’ll eventually make a quilt with the sentimental shirts, but what about the others? I may just refashion them like these. These aren’t race shirts, but shirts I really like, but are not a style that I wear often. First, I cut off the collar and sleeves. I made a buttonhole on the bottom, then sewed a channel around the bottom for the ribbon. I had a slight mishap on the purple one when I tried to put two buttonholes on the channel. Somehow (probably user error), they didn’t line up properly, but I figured the ribbon would cover them anyway. I made two more channels across the front and back and wove the ribbons through them. Tie some bows and you’re done. Very easy. A portion of my proceeds for Climbing Heartbreak Hill will be donated to the One Fund for Boston to help those injured in the bombings at the Boston Marathon. These shirts are so cute, Joselyn. Thanks for sharing! Remember to leave a comment because May is my birthday month so I am celebrating with a fun opportunity for commenters. You can name the shadow person in my work-in-progress! Having that character's name will be a birthday gift I will truly appreciate. After your name is drawn on Monday, May 27 at 9 pm, I'll give you the info about the character so you can conjure up a name for him. Your name will appear in the acknowledgement section of my new mystery. Please add a note when you comment so I'll know you're interested in naming the character. Put on your thinking caps! Thanks for visiting the J.Q. Rose blog! Thanks for having me, JQ! I would wear one of these today, but it's too cold. Love your re-fashioned t-shirts! That particular style wouldn't look good on me, so I usually end up making them into quilts, or pillows. I made a reading pillow once that my daughter used for a long time. It's always a good feeling to get extra life out of something, isn't it? Patty, I think I would cut the neckline differently on the next ones. I would try to make it wider because it doesn't gather as much as I would like. Hey Joselyn, I am delighted to have you here. You're right about being too cold for a t-shirt. Can you re-fashion sweatshirts??? Hello Patty. T-shirts are so comfy. I love the fabric. I never thought about using them again in quilts or pillows. They would make a cozy quilt to snuggle under. Cute shirts! I have a bunch from my rowing days in college and a bunch from traveling pre-children that I need to do something with. I did a sweatshirt once. It's on my blog. I have some college sweatshirts that I want to do something with, but they are sentimental, so I don't want to screw them up. I just visited your blog and saw the amazing sweatshirt you hacked up into a classy, cute top. You're the best! Great idea to "re-do" t-shirts. No need to throw them away, right? You are surely gifted, I've never been able to do anything like that! So glad you could stop by, Miss Mae! I think it comes from my mom's refusal to throw anything away. Great to meet you Joselyn. What a great idea with the t-shirts - they really are transformed! I'll pass your tip on to my daughter, who is also handy with a needle. Good luck with the release of your book. I love a sweet romance! Hi, Joselyn! The re-fashioned t-shirts are cute. Happy Birthday! Helena and Suzanne, thanks so much for stopping. The shirts are fun and easy.